A native of Rochester, New York, Alfred J. DiMora was fascinated by cars from the age of ten. He worked at service stations in his early teens, during which time he rebuilt a burned-out 1939 Buick before he was old enough to drive. Working in a co-op program, he earned his machinist degree and became a certified welder. In 1976, Mr. DiMora moved to Santa Barbara, California where he built limited-production luxury cars as an early employee of the then recently-formed Clenet Coachworks. He later co-founded Sceptre Motorcar Company, and their Sceptre 6.6S won the Best-of-Show award at the Los Angeles Auto Show in 1978. After Clenet production was halted, DiMora bought the company's rights and assets, then created a new factory in Carpinteria, California. 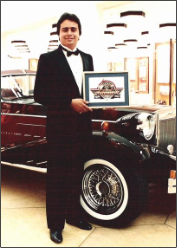 As owner, CEO, and Chief Automotive Designer at the new Clenet Coachworks Inc., he revived production and continued developing Clenets, delighting celebrities, royalty, and neoclassic motorcar enthusiasts around the world. President Reagan declared 1986 the Centennial Year of the Gasoline-Powered Automobile. Mr. DiMora's Clenet was selected as the Official Centennial Car. As a result, he and the automobile were honored at the Automotive Hall of Fame in Michigan. Clenets were called "Drive Art" by Automotive Age and the "American Rolls-Royce" by Fortune. As an entrepreneur and business consultant, Mr. DiMora has advised and built companies in industries as diverse as chemical recycling, public relations management, software development, television infomercial production, and real estate development. In the mid-1990s, he innovated in chemical recycling, automobile and truck antifreeze production and distribution, and hazardous waste management at PRS, Inc., in Salt Lake City, Utah. He served on the American Society of Testing and Materials Committee as the first non-chemist. During this period, he created and marketed the first ready-to-use 50/50 antifreeze, which quickly went on to be a bestseller. In 1997, Mr. DiMora founded Star Bridge Systems, Inc. to advance reconfigurable computing technologies. Star Bridge created powerful, high-performance computer platforms and a new software language called Viva, for a new supercomputer platform called hypercomputing. Star Bridge customers include NASA, the U.S. Air Force, and the National Cancer Institute. 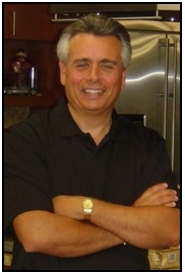 Mr. DiMora served as Chairman, CEO, and President. As owner of DiMora Entertainment, Mr. DiMora is a major participant in the development of very large Ferris wheels to be constructed in North America and Asia. He also served as Vice President for Finance of Envision Entertainment Corp., producers of such major Hollywood movies as Freelancers starring Robert De Niro and Forest Whitaker. Mr. DiMora owns a telecommunications company, DiMora Mobile. In 2016, he purchased Western Eagle Boats, founded in 1963, from Western Fiberglass, Inc. He moved the boat production to Palm Springs, California, and changed the name to DiMora Watercraft. These boats are certified by the U.S. Coast Guard and constructed of fiberglass-reinforced materials using state-of-the-art sandwich construction. Sir Alfred J. DiMora was inducted into the Knights of Malta in 2001. He is a member of the Motor Press Guild and the Society of Automotive Engineers. He was inducted into the Alumni Hall of Fame of Gates-Chili High School, and he was honored with a star on the Palm Springs Walk of Stars.